Sony has been heavily concentrating on fleshing out the full frame E-mount system with quality lenses, which is something that they didn’t really do with their APS-C e-mount lineup. As such, less than two years after the introduction of the A7, the FE lineup has grown into a rather full featured system. Today, I review the Sony FE 90mm f/2.8 Macro, which fills two key niches in the system: a high quality macro lens and a short telephoto prime. This is one of Sony’s top-tier ‘G’ lenses, and as such, expectations are high for good optical quality. The Sony 90mm f/2.8 is a large, solidly built lens. As with many of Sony’s FE mount lenses, there really is no size or weight benefit with this lens compared to full frame DSLR macro lenses. While large in both length and diameter, the 90mm is not quite as heavy as I expected given the dimensions. Still, it’s not exactly a light lens. The lens is constructed of a combination of high-grade plastics and lightweight metals, and there are no creaks or flex points anywhere on the lens body. Due to the size of the lens in comparison with the Sony E mount bodies, it can be a bit front heavy and unwieldy depending on the body used. While it handled decently on my A7 II, I have to say that it feels awkward when used on my a6000. I’d imagine the first generation A7 series cameras would similarly feel a bit awkward due to the shallow grips on those cameras. The lens comes with a plastic lens hood that locks securely onto the bayonet mount on front. The hood isn’t huge, but it adds to an already rather ample girth. This can cause problems if you’re using a smaller camera bag for your Sony kit, as bags made for mirrorless kits aren’t generally designed to accommodate lenses with this large an outer diameter. As such, I ended up leaving the hood out of the bag most of the time. The lens has a two position focus clutch mechanism for the focus ring, which is a broad metal ring with a dense check pattern for grip. When the ring is pushed forward, the lens stays in autofocus mode, and the ring turns freely, allowing for direct manual focusing. When the ring is pulled back, the lens enters manual focus mode and the damping of the focus ring increases. The ring also engages the marked focus scale, and provides a true manual focus feel, with hard stops at minimum focus distance and infinity. While the lens feels like it’s a direct mechanical connection to focus in this mode, it’s still by wire: there must be power to the lens to move the focus elements. The clutch mechanism works well, though I’d sometimes inadvertently pull it into manual focus and it would take a second to figure out why autofocus wasn’t working. I wish the position of the ring was a bit easier to discern from a glance or a touch, as the movement between AF and MF modes is fairly slight. The lens also features an additional button on the side, which acts as a focus stop button. When after locking focus, the button will hold that focus location until you release it, even if you press the shutter button multiple times. On the side of the lens, there are two switches to activate the focus limiter and the Optical SteadyShot (OSS) system. The focus limiter can be set for the full focus range, from 0.5m to infinity, or from 0.5m to minimum focus distance. I feel focus limiters are a must for any macro lens, so its nice to see one here. The OSS switch enables or disables image stabilization. Unfortunately, there’s no way to separate lens stabilization from in-body stabilization, as switching this off on the lens disables all stabilization, so you can’t use only the 5-axis IBIS on the A7 II. However, as we’ll get to in a moment, this turned out not to matter at all. One negative about handling and use in the macro range is a rather extreme level of focus breathing. All internally focusing macro lenses have some focus breathing, as the internal focusing actually shortens the focal length. However, the 90mm seems to do it more than many other macros I have used in the past. In comparison to my Olympus 60mm f/2.8, the breathing is very noticeable. You really need to play with distance and focus to provide proper framing of your subject when you get really close. 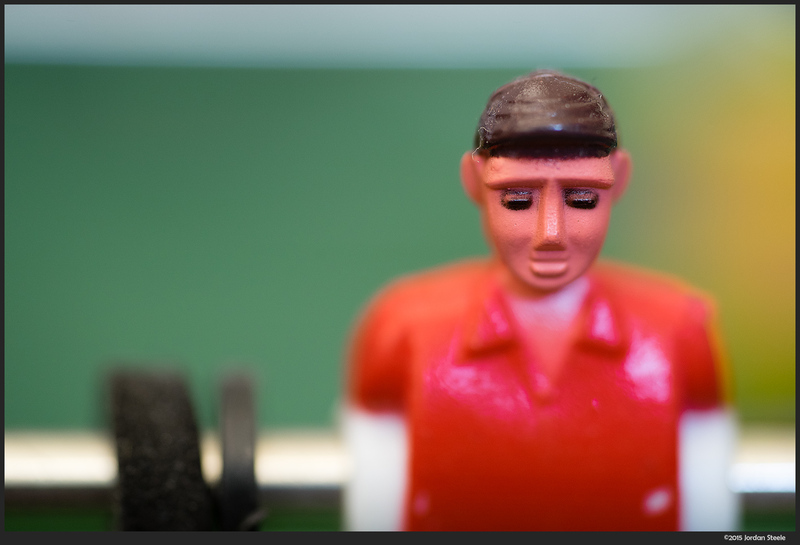 I have very mixed feelings on the autofocus capabilities of the FE 90mm Macro. In good light, the lens focuses extremely quickly, even in the macro range. Using this for insect macros was easy and very accurate overall, allowing me to do nice handheld macro photography, such as the shot of the hoverfly below. I held the camera below me for this shot, framed the image on the rear screen and snapped the shutter to lock focus and take the picture, yielding focus exactly where I wanted. However, indoors and in dimmer light, the autofocus can struggle. On both the A7 II and the a6000, I found the lens would often fail to find focus at all in dim light, leading to a full in-and out rack of focus past my desired subject. I found this to be the case both in the macro range and in more moderate portrait distances. When it does lock in, speed is slowed considerably in dimmer light. It’s a good idea to turn off exposure preview when using this lens, especially in the macro range where you will likely be shooting stopped down. This is because exposure preview on Sony cameras also stops the lens down to working aperture during focusing, which robs the sensor of much-needed light. I still had problems focusing in low light even with exposure preview turned off, but it becomes very difficult to get a lock with it on. Update: May 2018 – I normally don’t update my reviews well after they’ve been published, but I recently acquired a 90mm macro for my personal use, and have been using it with the new A7 III. The autofocus experience with this lens and the A7 III (and by proxy the A9), is very different than on my A7 II, noted above. On the A7 III, autofocus does still slow down a little in dimmer light, but it is dramatically improved from earlier bodies, and still what one might call quick. I also have had very little observation of hunting in dimmer light with the 90 Macro and the A7 III. However, I have no complaints on the optical image stabilization. The FE 90mm Macro has the steadiest stabilization I’ve used on a Sony lens, giving me around 3-4 stops of extra handholdability over unstabilized performance. It works well with the IBIS of the A7 II as well, providing very steady results in the macro range. I was able to get a handhold shot very sharp at 1/20s while handheld at 1:1 magnification using the A7 II, which is rather remarkable. At 1:1, one generally needs 1-2 stops faster speed than at normal focus distances, so I was quite surprised to see sharp shots there. I also managed some sharp shots at 1/8 second on the a6000, which is a bit over 4 stops of stability. I have to say, the biggest difference between the optical stabilization of the lens by itself and the hybrid in-body and optical stabilization when mounted on the A7 II was in framing in the macro range. The extra 3-axes of stabilization helped to keep the viewfinder much steadier than the 2-axis OSS of the lens by itself. Thanks Jordan for your detailed and interesting review of the lens. It helped me to make my decision of buying it. I’ve been a Nikon and Hasselblad (enthusiast) photographer since the 60’s. I’ve also worked as a constructor/designer on the Hasselblad camera factory during the 80’s (here in Gothenburg, Sweden). 4 years ago I went over to have mirrorless equiment (Fujifilm and Sony) in my bag – and I will never regret that! Your images, specially on the insects, are incredible. I’m sure thats not only because of your use of the actually equipment – it’s even more because of your professional knowledge! Did you try it on the Sony A6000? 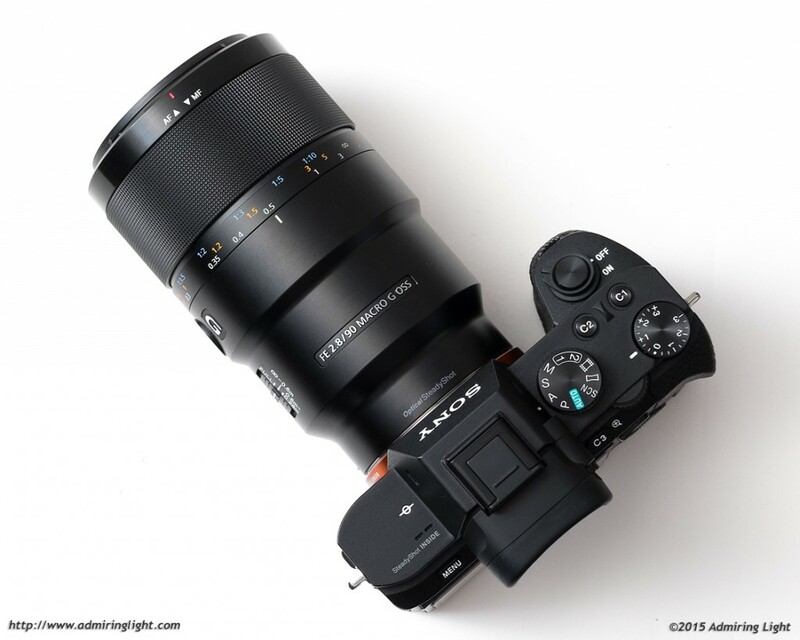 My thoughts on the lens on the a6000 are in the review. I am keen to know which one is better? or they perform very like? Since you’ve reviewed both do you have any thoughts on comparing the Sony 90 to the Fuji 90? I own both systems and am leaning towards the Sony for stabilization. I’m also thinking the Fuji has better IQ especially with regards to sharpness. Thanks for all your efforts, it’s nice to get your thorough reviews before I make these extravagant investments! With regards to sharpness, there’s almost nothing between them. Both are exceptionally sharp lenses. I can’t imagine a situation where one would notice a significant difference in sharpness. I think the Fuji 90 has better bokeh, and image stabilization does come in handy on the Sony. The big difference is one is a macro lens and one isn’t (though the Fuji can focus fairly close up for flower shots and the like). The Sony is larger and the Fuji focuses a lot more surely in dim light….different lenses that just happen to share a focal length. Have a few questions of the FE 2.8 use with the a6000. Will there be any vignetting when using the FE 2.8 with the a6000? Should the Steady Shot on the camera be turned off if you use Optical Steady Shot on the a6000? Thanks for your thoughts on these questions. Yes, no, and there isn’t any steady shot in the body of the a6000. Jordan Hello , I have this lens a month ago and I’ve used both the A6000 and the A7II . I am very pleased with the quality, extraordinary detail and color representation . However I am not satisfied with the approach in situations of low light or backlight can not focus and also the absolute size of the lens cap light assistance approach. I do not regret buying , but I think it is a lens that can not be used at social events or weddings and other similar situations. I agree with you. I note the same behavior in this review. The lens can really struggle to find focus in lower light. 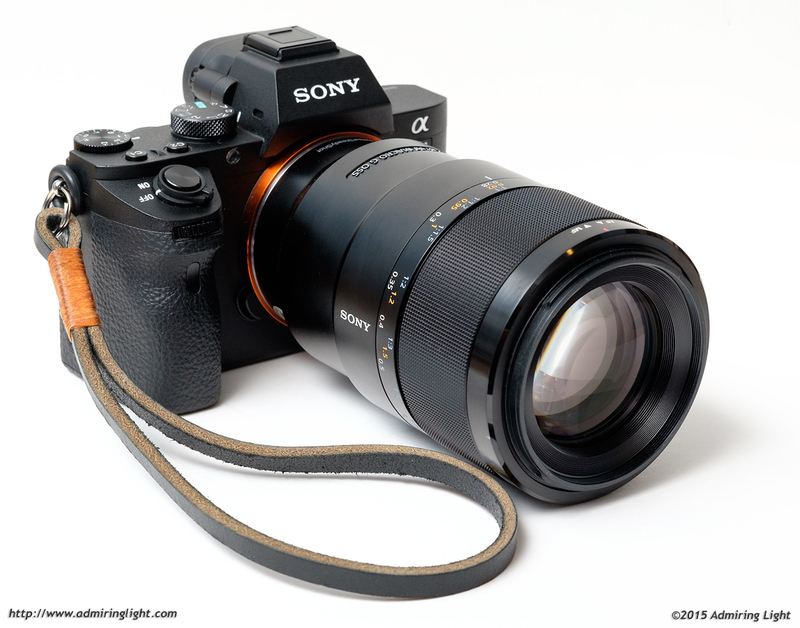 I didn’t have this lens and the A7R II at the same time, but I wonder if it would be better on that body. I found the A7R II to focus much more surely in lower light with my other lenses. Another thing that I found is that the lens for focusing required to be attentive to properly position the distance limiter correctly , otherwise also in good light situations may have trouble focusing quickly. I am not having any trouble with focussing in low light with the FE 90 macro and the A7r II. Using the focus limiter does help in all light situations. You said in your review that “It’s a good idea to turn off exposure preview when using this lens” I am not sure what you are referring to with “exposure preview. Also, what model Sony do you think would be best for use with the FE 90 Macro. 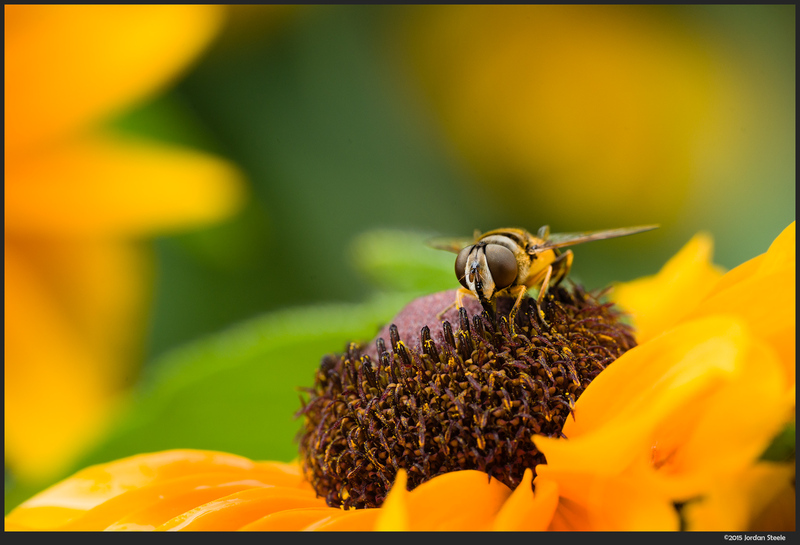 And what exposure mode would you recommend when shooting insects in the macro mode? No problem. I probably should have explained better. Sony cameras are odd in that they will focus at whatever aperture you have set if you have live exposure preview on. (Most manufacturers will preview exposure but no depth of field, thus focusing the lens wide open and stopping down when the exposure is made. Sony will keep the aperture open if exposure preview is off, but will attempt to focus with the lens stopped down to, say, f/8 if the exposure settings are set to f/8. This reduces precision and, in lower light, may make it difficult to achieve focus at all. With the 90mm indoors, it’s important any time you are setting the aperture smaller than f/2.8. With macro shooting, this is going to be most of the time. The specific setting is (on the A7 II menus) Live View Display (gears tab, page 3). To turn preview off it should say Setting Effect Off. The down side to this is that exposure adjustments won’t be reflected in the live view. I really wish Sony would change this so that you could focus wide open but still have live exposure preview. All the other mirrorless manufacturers do this, but Sony is the odd one out for some reason. Jordan, thank you for your notes. I also purchased this lens for my A7R, and have experienced the same frustrating issues you have in low light. I disabled the Live View Display, as you noted, and unfortunately, it made no difference for my A7R. By chance however, I disabled the ‘Pre-AF” setting (located just below the Live View Display). At least for the A7R – it has greatly improved the autofocus capabilities in low light situations – why I’m not sure, but wanted to pass this along in case it helps other people! I created a custom menu so I can toggle on/off. Can this lens be considered as hybrid macro/portrait .. compared to zeiss batis 85mm ? How would you compare Sony 90mm. with Zeiss Batis 85mm. if I have to choose between the two. I Photographers slightly different things and can see several advantages with Sony 90mm., but is it good enough for serious portraits? It’s definitely good enough, though a few things to consider. Of course, the Batis can blur the background more for the same framing and the 90 can do macro. If either of those are more important than the other, then there’s your decision. However, I also found the 90 to have a harder time focusing in dim light, so if you shoot in lower light, the Batis will do a nicer job at getting you the shot. I’m looking to purchase a macro lense for my a6000. If you had to choose between the Zeiss touit 50mm 2.8 and the Sony FE 90mm 2.8 which would you choose? It depends on what you’re shooting. Both are optically excellent. If you plan on shooting a lot of insects, I’d get the 90, as it will give you much better working distance. The Touit 50 has a very short working distance at 1:1. If you’ll be shooting mostly static macro, I’d go for the Zeiss, as it’ll handle a fair bit better on the a6000. Jordan– I have to say I’m impressed by your macro shots. I have the Sony 90mm and the a7RII that I use for macro as well as the a7SII for low-light. I know that the Sony can’t get down close enough to fill the frame with an insect in full-frame, so I assume your fly shots were cropped a little bit. Would you care to fill us in on some of the technique you used, such as lighting and how you set up your flower to get the fly to land on it, etc? Another great review! For the times that you failed to find focus at all in dim light, was exposure preview turned on or off? Thanks. You Missed an important factor. Since the focal length changes in Manual, it impossible to do focus stacking. Never had a macro lens that did that and focus stacking always worked. Why did Sony do that? Pingback: ??????????????? 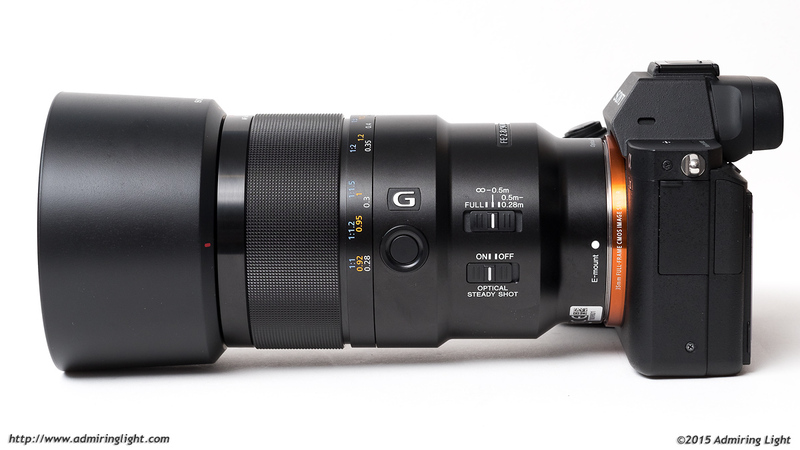 FE 90mm F2.8 Macro G OSS??????? | ???????????? ?